In July 2018, the National Lottery Heritage Fund reaffirmed its commitment to CHGT’s original vision and the development of the House and Gardens by awarding the Trust an £85,000 Resilient Heritage grant. The money was intended to help CHGT prepare for the next crucial stage of developments onsite, and included funding for an access audit, research around visitor engagement, support with streamlined governance arrangements and the appointment of the Trust’s first full time fundraiser. Projects to emerge from this work will include the development of visitor facilities (e.g. retail, ticketing and cloakroom improvements) and the installation of a lift allowing wheelchair access to the Piano Nobile of Chiswick House for the first time. Through a grant the SUEZ Communities Trust has funded some capital improvement works to The Stables, utilised as a volunteer and education hub next to the Kitchen Garden. The facilities are now weather-tight, welcoming and can provide for our beneficiaries for years to come. Thanks to the support of Tesco Bags of Help we have been able to plant a historic Knot Garden, a part of Chiswick House and Garden’s past that had previously been lost. 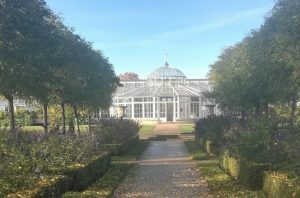 Did you know Chiswick House and Gardens has a part-time beekeeper? Thanks to the Worshipful Company of Gardeners we have been able to purchase some new hives. The restoration of our historic ironwork was funded by the Worshipful Company of Ironmongers in 2017. Our Italian Garden was replanted thanks to the help of the Heathrow Communities Fund in 2017. 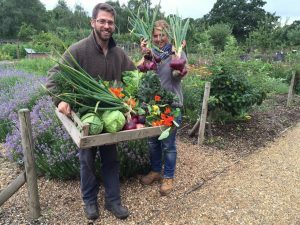 Between 2014 and 2016 the City Bridge Trust supported the therapeutic horticulture work in our listed Kitchen Garden, as well as allowing for work– based placements and school educational session through the appointment of a full-time Kitchen Gardener. The Wates Foundation have also supported our Kitchen Garden Project, allowing for public access to the Garden, as well as for the involvement of schools and volunteers.